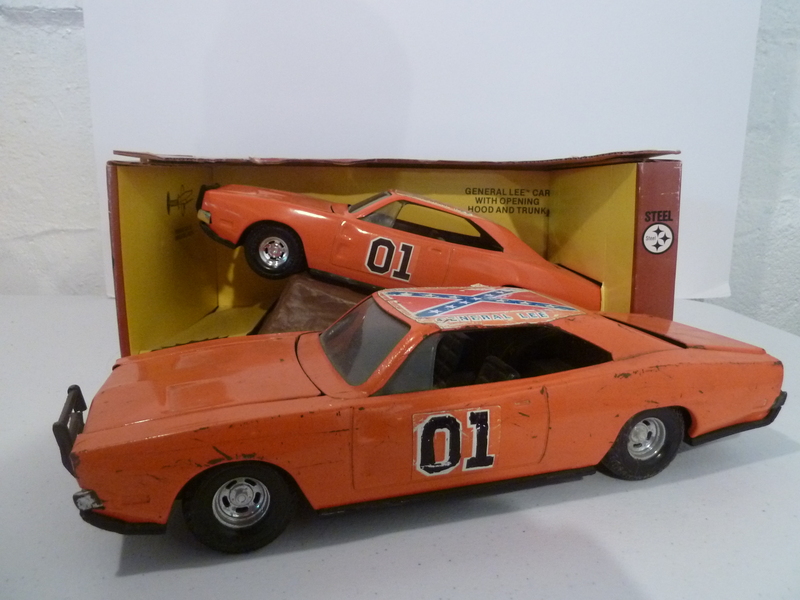 The Steel General Lee is a rugged toy built to last and take jumps. Different than other golden era Ertl General Lees because it was built to be durable instead of built for looks. Not as detailed, but stronger and tougher. The original box comes with a plastic ramp. Very hard to find in the box, but out of the box can be quite plentiful.